Mobile advertising network InMobi has raised a gargantuan $200 million from Japanese Internet company Softbank in one of the largest investments ever in the mobile Internet market. The money is another sign of the growing momentum behind mobile advertising, which is heating up with big deals and funding. InMobi, which launched in 2007 in Bangalore, India now reaches 340 million consumers in more than 165 countries. It has more than 47 billion mobile ad impressions on its network, which is strongest in Asia but is also prominent in North American and Europe. It’s trying to be the premier network for mobile ads on smartphones, specifically iPhone (s aapl) and Android (s goog) devices, which make up 60 percent of InMobi’s business. InMobi previously raised $15 million from Kleiner Perkins Caufield & Byers and Sherpalo Ventures. The latest funding, which will be doled out in two $100 million tranches now and in April, should help InMobi compete with Google’s AdMob, Apple’s iAd and independent ad networks like Millennial Media. Naveen Tewari, founder and CEO of InMobi, said the money will help InMobi with deeper market penetration, increased product innovation and potential acquisitions in the mobile ad space. 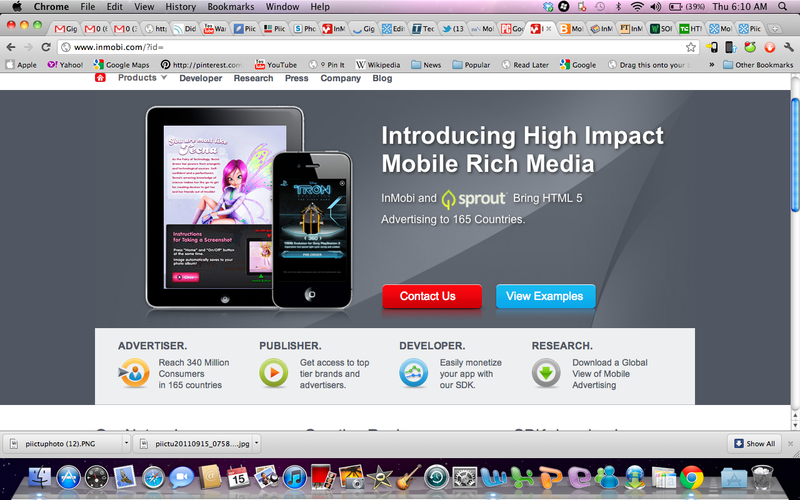 The company bought mobile ad builder Sprout last month. The mobile advertising space is still dwarfed by traditional online advertising, but it’s growing fast and is expected to reach $24 billion by 2015, according to research firm Informa. It’s that promise that’s leading to a lot of funding and acquisitions in this market. Millennial raised $27.5 million in January, while Jumptap raised $25 million in May. JiWire also raised $20 million in for location-based mobile ads. The frenzy also includes acquisitions such as eBay’s (s ebay) purchase of WHERE and ValueClick’s (s vclk) $70 million pick-up of Greystripe. Smartphones provide a great way for marketers to get in front of consumers and engage them in very personal and targeted ways. As mobile ads get richer and become context-aware through location and other signals, they will pull in more money. Softbank’s $200 million bet is huge, but it may prove savvy if InMobi can ride this wave to success.